Every business as it seems knows the value of having loyal customers. You will recognize this from their slogans, banners as well as in the marketing efforts that they make. But do these businesses actually realize the need for customer loyalty or who the loyal customer is? These are questions begging for answers, which will be provided soon enough in this article. So if any of these possibilities above happens to be the case with your business, do you think these customers will remain should a competitor with a desirable offer turns up? Obviously not! This means that customer loyalty is actually more than what people consider it to be – repeat business. 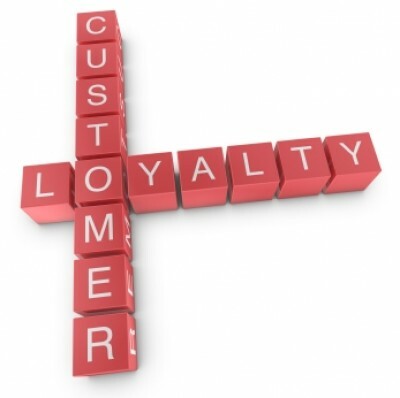 So what then is customer loyalty? In a sentence, this loyalty refers to a customer wanting to patronize your goods or services and actually doing so. Now your loyal customer is anyone that is getting the services or products that they desire from your business. They are people who believe that the products or service, which your business provides is second to none or better than those of your competitors and so, will altogether shun their offerings. In addition, such people believe that their relationship with your business is more than just the service or products that they purchase from you. Okay measuring this loyalty is possible and it is tantamount to measuring how strong the relationship that exists between your organization or business and its clients is. Although challenging to reasonable measure, the level of customer loyalty that exists is something that needs to be done. It is this difficulty anyway that has made many companies succumb to the view that loyalty is equal to the total number of buys made or something similar. But this is not the case and finding out from your customers by asking them whether they are loyal or not isn’t valid either. As many of them will say they are too many providers at the same time. Responses from customers based on the afore-mentioned behaviors and attitudes together with others that address particular areas of their interaction with your business can result in the creation of a customer loyalty profile. Such profile can categorize your customers into any of these three: loyal, neutral plus vulnerable.